There’s a homey, small-town feeling in Fort Greene, where neighbors greet each other from their stoops and gather in Fort Greene Park for al fresco yoga sessions. Yet there is a seriously savvy intellectual and cultural feel here as well. The Brooklyn Academy of Music, Mark Morris Dance Center, and MoCADA draw artists, writers and scholars to the area. And with numerous subway stops and the LIRR Atlantic Terminal station in the area, commuting into Manhattan is a breeze. The neighborhood’s well-preserved architectural details are due in part to its being a designated Historic District. 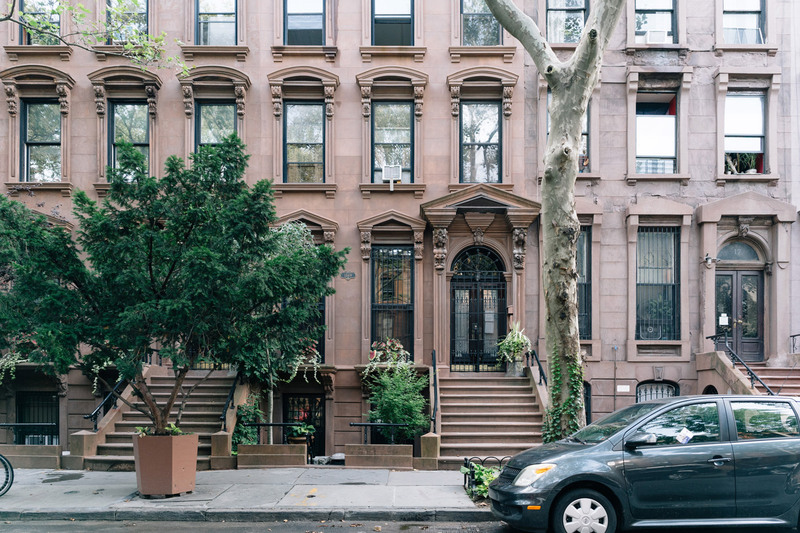 Rows of stately brownstones sprouted up throughout the 19th century. These intermix with red brick row houses and traditional clapboard frame homes, all framed with the foliage of Fort Greene’s leafy streets. Fort Greene apartments range from luxury penthouses to modern town homes. A number of new mixed-use high rises have sprouted up in recent years, as part of the growth of the Brooklyn Cultural District. 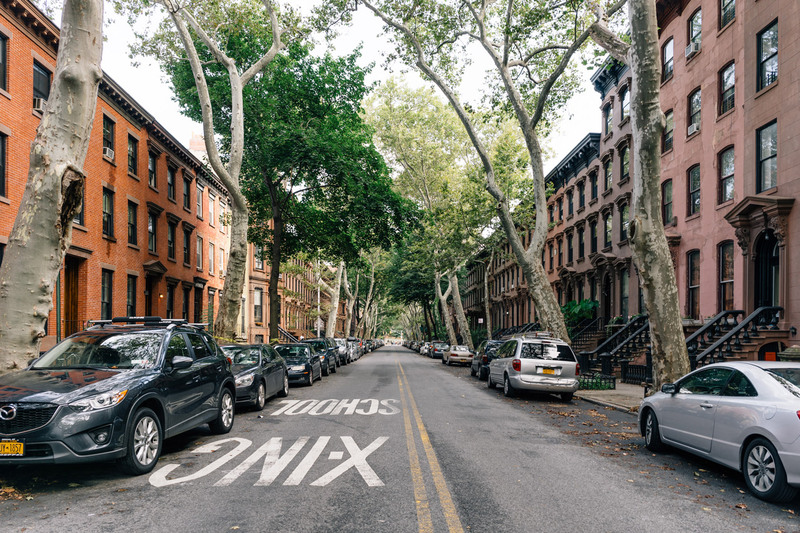 Traditional cobblestone roads and quiet gardens help give Fort Greene the feeling of a close-knit suburb just a stone’s throw from downtown Brooklyn. Fort Greene’s name stems from a fort held by Nathanael Greene during the Revolutionary War. Greene fought valiantly alongside General Washington in the Battle of Long Island, and both the neighborhood and the park were named in his honor. With the arrival of the Navy Yard, the area boomed thanks to an influx of its 71,000 workers during WWII. 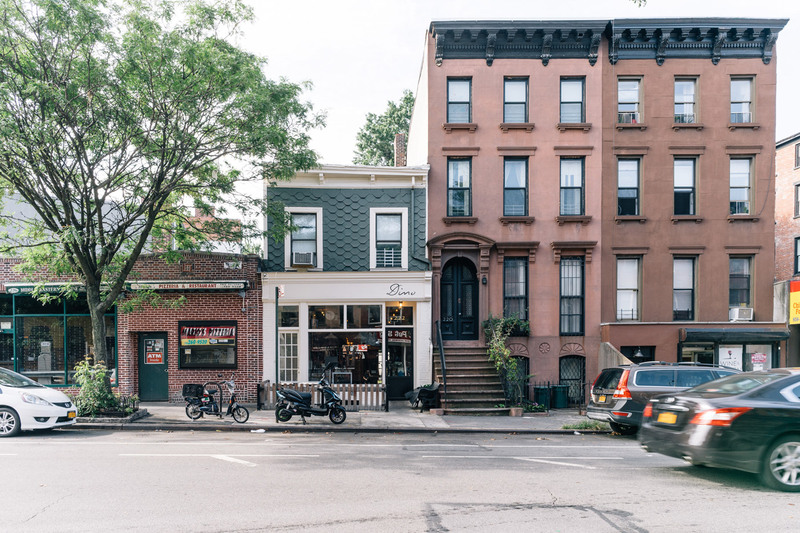 The Fort Greene Landmarks Preservation Committee pushed for an historic-district status in the 1980s to preserve Fort Greene’s distinct charm. The neighborhood benefited from a corresponding boost in status. Fort Greene has attracted many creative, diverse residents over the past century and is home to a strong African-American cultural community. Notable work spaces contributing to this community include Spike Lee’s production company headquarters and artist Lorna Simpson’s studio. DeKalb Avenue is the go-to destination in Fort Greene for a round-the-world tour of culinary delights. Whether you’re in the mood for South African or Latin American food, you’ll find tempting fare along this culinary strip. Colonia Verde draws in a crowd for its social scene and menu which features produce from local markets in dishes like duck confit tacos and red snapper ceviche. Another DeKalb hotspot is Walter’s, which serves upscale comfort food like fried chicken and beer battered catfish along with a tempting selection of craft cocktails. 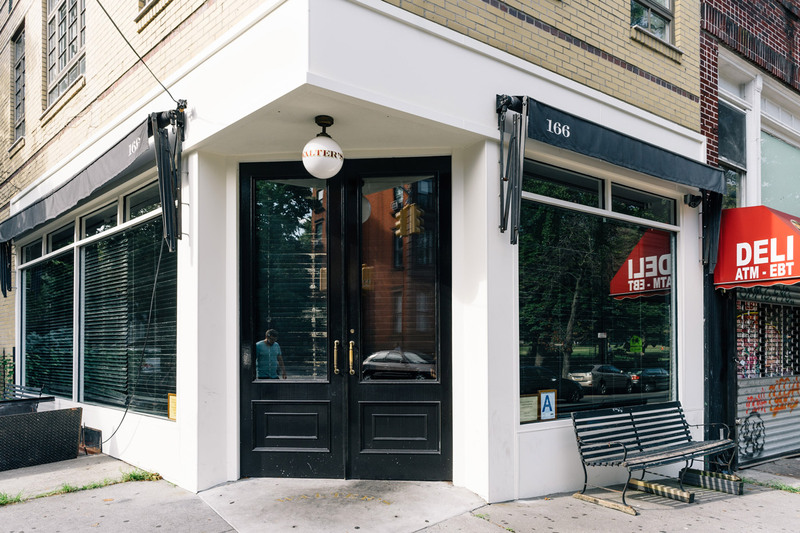 The Fort Greene dining scene is diverse, and its upscale eateries sit next to food trucks, quirky cafes and coffee shops like Red Lantern Bicycles on Myrtle Avenue. This little bike shop is quintessential Brooklyn cool. Where else can you sip a cup of coffee made from house-roasted beans and homemade sunflower milk while having your bike repaired at the same time? Matching the neighborhood’s personality, Fort Greene bars tend to be relaxed rather than rowdy. Tucked in amongst the bistros and soul food restaurants of DeKalb and Lafayette Avenues, you’ll find an array of bolt-hole bars and laid-back cocktail lounges. The Brooklyn Public House is a cozy retro-styled pub where patrons sink back into plush crimson seats and choose from the wide range of international beers on tap. When the weather’s nice, the courtyard at Habana Outpost offers the ideal location for sipping on a frozen mojito. On weekends, this lively Latin bar projects movies onto the courtyard wall. For those seeking a highbrow ambience, the Brooklyn Academy of Music hosts a jam-packed calendar of film, theatre and concerts after dark, including free live music at the BAMCafe on weekends. From modern shopping malls to sprawling flea markets, Fort Greene’s shopping scene has something for everyone. The Atlantic Terminal Mall is home to big box stores like Target and international retailers like Uniqlo, making it a one-stop shop for basics. You’ll find independent retailers like Thistle and Clover tucked along DeKalb. This Brooklyn boutique features a carefully curated selection of designer clothing, footwear and accessories. The Greenlight Bookstore only opened in 2009, but has swiftly become a local institution. It offers a handpicked selection of titles from across a range of genres, and has hosted literary luminaries including Jhumpa Lahiri and Junot Diaz. The Brooklyn Flea is an outdoor market that takes over the schoolyard of Bishop Loughlin Memorial High School every Saturday from April through November. Residents gather here to sift through piles of vintage and handmade treasures from over 150 vendors while chowing down on lobster rolls and kimchi hot dogs. Artfully designed by Frederick Law Olmsted and Calvert Vaux in 1847, Fort Greene Park was described as the “lungs” of the neighborhood by former resident Walt Whitman. Vast grassy slopes and hilltop views invite residents to throw down a picnic blanket and stay awhile. Tennis courts, a weekend farmer’s market and live music events create a lively atmosphere. Many Manhattanites venture across the river to pay a visit to the Brooklyn Academy of Music. BAM has been a brightly shining cultural highlight since its founding over 150 years ago. Housed in a lavish Beaux Arts building as well as neighboring venues Harvey Theater and Fisher Building, BAM provides an avant-garde calendar of dance, film, poetry, music and artistic events. The BRIC arts organization is just a couple of blocks away from BAM. This newcomer further contributes to Fort Greene’s cultural pedigree, with a multipurpose performance space and community classes.